When I began my PGA Tour career in 1986, only a few guys looked at weights and running as an integral part of their daily routine. The main focus was on stretching to prevent injury, a defensive approach to preventing injury. Golf courses at that time placed a higher emphasis on accuracy—the ability to hit fairways and greens—so practice was more focused on getting the ball safely in play and avoiding mistakes. Shooting close to par or slightly lower was the main objective. Today, working out to get stronger and more flexible and create greater clubhead speed should be the goal of any elite golfer who hopes to compete with Tiger. Golf courses have completely changed as well. The length of all Tour courses has increased on average about 400 yards, or 25 yards per hole, over the last 20 years. It’s more important than ever to be able to hit the driver a long way. With today’s technology, it’s not unusual for Tour players to need just a driver and a wedge to reach a 450-yard par 4. This blend of better fitness and more advanced equipment has led to a world where the average PGA Tour drive is close to 300 yards, and that has completely altered the game’s strategy. Accuracy, while still important, is not enough. The only realistic option for serious players is to include fitness in their daily routines. It’s the only way to stay competitive. Even my teaching is no longer just about the golf swing. All the Tour players I work with have daily workout routines, and most have personal trainers at home and on Tour. What started out as stretching has blossomed into isolated muscle training and biomechanical feedback as golfers look for that extra edge. What can the average golfer learn about fitness from Tour players? First, you need to make a commitment to get more fit and flexible overall. Second, you need an evaluation from a top golf or fitness instructor. 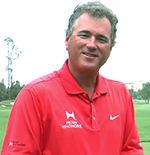 One leader in the field is the Titleist Performance Institute (TPI) in Oceanside, Calif., which Top 100 Teacher Dave Phillips and Greg Rose started in partnership with Titleist about eight years ago. They personalize their evaluations and work with teachers around the country to provide feedback for students. They identify specific muscles and areas of the body that are restricting a student’s movements and inhibiting the swing. The popularity of TPI has spawned many high-quality facilities that are helping all teachers raise the level of their students’ play. I have been fortunate to have worked with great teachers like Mike Malaska in Arizona, David Wright in San Diego, Kendal Yonemoto in Vancouver, Jennifer Lochhead in Toronto, and several others in Orlando who have really enabled students to break free from restrictions and blockages in their bodies. After you receive a professional evaluation, then you need to develop a game plan for your workouts. Focus on frequency and duration and repetitions—how much do you need to do to be successful? 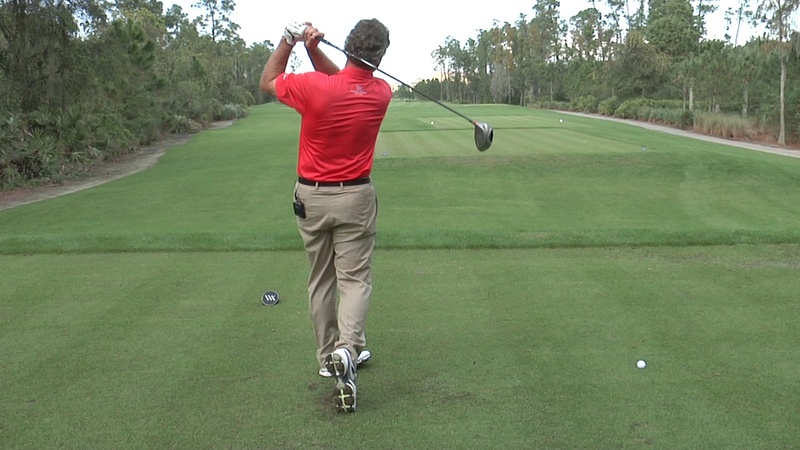 Work toward a goal, following a fitness strategy created to achieve your own optimum swing. I had a conversation with Tiger Woods about six years ago on his plan and what he was working toward. He said his ideal weight was “184, not 185 or 183, that is what I play best at.” We should all work to find our optimal weight, at which we will play (and live) our best. After you have a plan, you need to muster the commitment. We all have busy lives, but we have to fight through being tired or disinterested and stick with the plan. When you’re looking for motivation, think about the long-term benefit for your health and your golf game. As I have watched this fitness revolution in the game, I’ve seen three areas with the most potential to help average golfers: 1. Athletic Posture; 2. Stability 3. Strength and Power. We all know this is vital in sports, but many amateurs still have a weak starting point for their swings. To find your optimal posture, assume the pose of a baseball shortstop, hockey goalie or basketball player on defense. Trainers will call this “neuromuscular isolation to integration,” which is a fancy term for training your brain to get you into the your optimal posture. 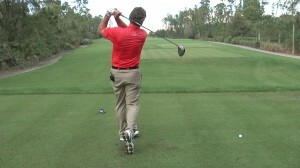 To play golf successfully, you need to have athletic movement with stableness. While your body fully rotates, there must be stableness in other areas to create torque while you coil. Developing core strength is key here and should be an important element of your workout routine. A focus on strength and power must complete each workout session. You need to develop strength before you can generate and control greater power. So, don’t be shy with the medicine balls and weights. Winter is the worst time of year for golfers, but you can make the most of the season by setting some goals and getting in shape. You’ll feel better, and you’ll player better, too. Getting off to a healthier, stronger start this year can have a profound effect on your life and your scores.